Those who have most to do, and are willing to work, will find the most time. 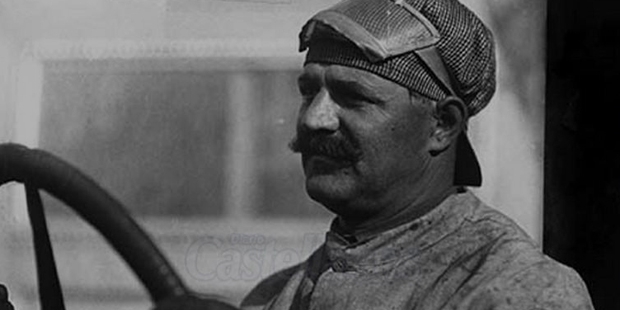 Like many inventors, Louis Chevrolet, born on 25th Dec 1878, shows a challenge for any biographer. Numerous incidents have been told about Louis’ career. Louis spent his early childhood in a sleepy village of Bonfol. His family moved to Beaune in France, when he was nine years old. Louis father ran a watch store, but it was not successful. So, Louis started working at the age of 11 to support his family. He;started working in the Robin bicycle workshop. He learned the fundamentals of mechanics in this workshop. One day he was sent to the Hotel de la Poste to repair a tricycle. There he fell in love with automobiles. He thought of migrating to America. This thought stemmed from Vanderbilt, a multimillionaire who was impressed with the work of the young mechanic, Louis. Chevrolet also went to Paris and Europe and learned the basics of internal combustion engine. His earnings paid him a trip to Canada. He worked as a chauffeur and then moved to New York after a few months. There he joined the American subsidiary of an automobile company, De Dion-Bouton. Chevrolet was out of a job after the shutdown of De Dion-Bouton in the year 1902. Louis met his future wife, Suzanne while working as a chauffeur. They both got married in 1905 and were blessed with two sons. Chevrolet started working with Fiat, but did not stay long. The next year, he moved to Philadelphia. He had a passion for engines. This passion took him to become a racing driver. Louis was appointed first assistant in the development of the new race car. His success as a racing driver grew with time. As a result of this, he spent around three years in hospitals due to various accidents while driving. The success as a racing driver influenced his career. In the year 1911, Chevrolet along with financier, Durant founded the Chevrolet Motor Car Company in Detroit. Durant focused and restructured the company on producing more affordable cars which would compete with Ford cars. He did this without telling Chevrolet. Chevrolet took this as an insult and this resulted in the breakup of the partnership. Durant made the fundamental decision and it influenced the Chevrolet brand to this day. The Chevrolet brand started developing quickly and Louis returned to his passion. Louis wanted to design automobiles and participate in races. 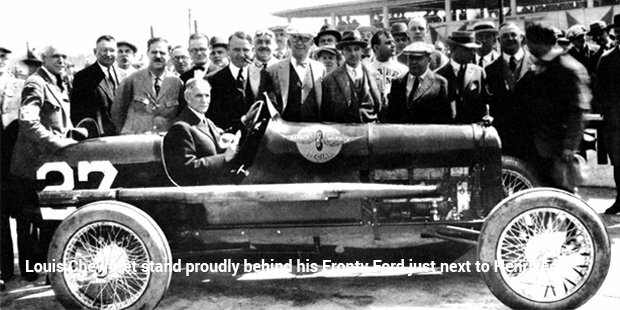 He founded Frontenac Motor Corporation in the year 1914. He made his career in car racing by dong partnership with major brands in racing. The Frontenac Motor Corporation made the racing parts of the Ford’s Model T. Louis Chevrolet is the decisive figure in the development of the Chevrolet brand. And today, Chevrolet is the most popular brand in the world. Since the beginning, the brand never lost the sight of territories outside the United States. Chevrolet is General Motors bestselling brand in the world. Chevrolet provides outstanding value for money.